WEST LAFAYETTE, Ind. — As spring approaches, Tippecanoe County Emergency Management Agency will test sirens and Purdue officials urge the campus community to review the university’s severe weather procedures and know the shelter-in-place locations. In conjunction with National Severe Weather Awareness Week, TEMA will sound the emergency warning sirens and test its communication systems between 10:00a and 11:00a and again between 1:00p and 8:00p on March 16. The tests’ objectives are to ensure the sirens are operational, allow the community to hear what the sirens sound like, and emphasize the need to prepare responses during both daytime and evening hours. Sirens also are scheduled for testing at 11:00a on the first Saturday of each month. If there is a threat of actual severe weather during any scheduled test day, the tests will be postponed. “It is also important to note that the ‘all-hazards’ sirens can be activated on the West Lafayette campus for an incident other than a tornado warning,” said Ron Wright, director of university emergency preparedness. “The all-hazards sirens might also be activated in response to a hazardous materials situation, a civil disturbance such as an active shooter on campus, or when police or fire department officials determine that the Purdue community should shelter in place. Each Purdue building also has a building emergency plan that provides specific evacuation and shelter-in-place procedures, and the awareness week provides an opportunity to review those plans, Wright said. The plan is normally developed and maintained by the building deputy or the Building Safety Committee. On March 23, April 6 or April 13, Purdue will offer faculty, staff and students tornado preparedness training from 10:00a-11:00a in the Terry Memorial Conference Room at the Purdue Police Department. The training, offered through the university’s Emergency Preparedness and Planning Office, will be facilitated by Purdue fire safety specialist Tom Cooper. 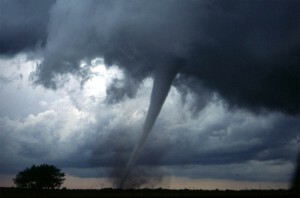 The training is designed to provide tornado awareness information and recommended response actions during and after an incident. Those interested in attending one of the sessions should contact Mary Stair at 765-494-1424.
Cooper also is available to speak in campus offices or departments. For more information, contact him at 765-494-1432, tncooper@purdue.edu. Information about preparing for severe weather is available from the Purdue home page weather link or at http://www.purdue.edu/newsroom/health_safety/weather.html.The page provides links to awareness pointers and information about recommended emergency kits.